When I go to the thrift stores I’m always on the look out for lots of crafting supplies. And by lots I mean many, but I also mean lots as in bunches of one thing. These are once in a lifetime finds that may never come again, so I very rarely pass them by. Like this huge lot of buttons that I shared a while back. And today’s lot that I absolutely had to bring home. 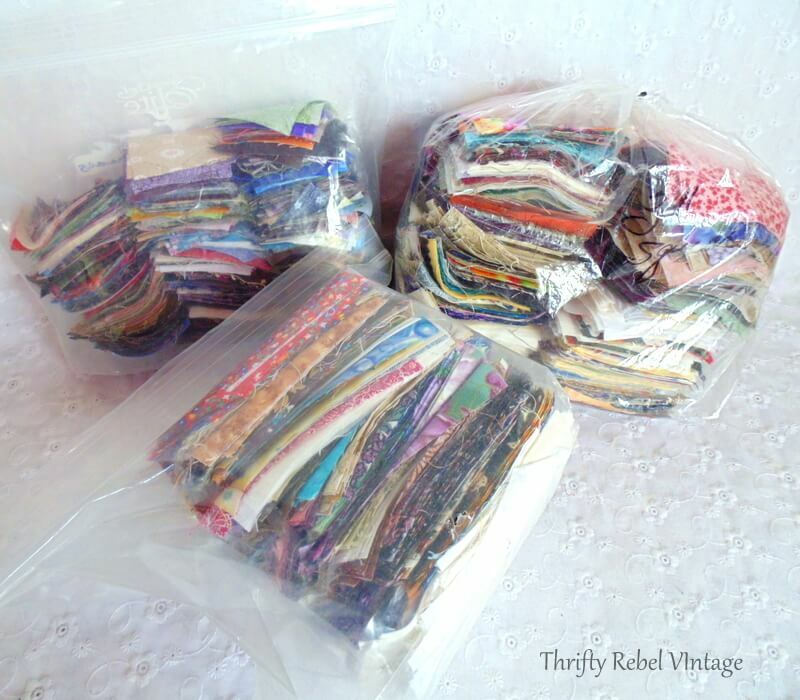 Now here’s what I’m talking about… 3 bags of quilt squares already cut and ready to be turned into whatever inspiration might come in the future. There are squares in three different sizes… 2 inch, 3 inch, and 4 inch, and so many patterns it’s impossible to count how many. I’m assuming these were all cut with a rotary cutter, but that’s still a lot of work. I can appreciate the creative potential that these 2 inch squares have to be used in other ways besides quilting, like decoupage… which I do enjoy doing. 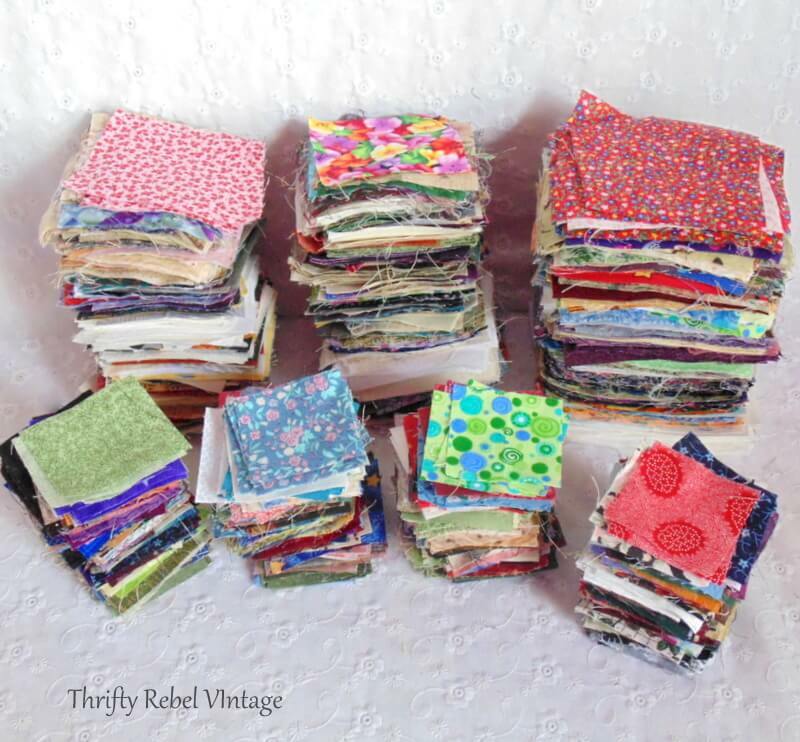 Check out these two 6 inch high piles of 3 inch squares. Wowza! That’s a lot of squares. 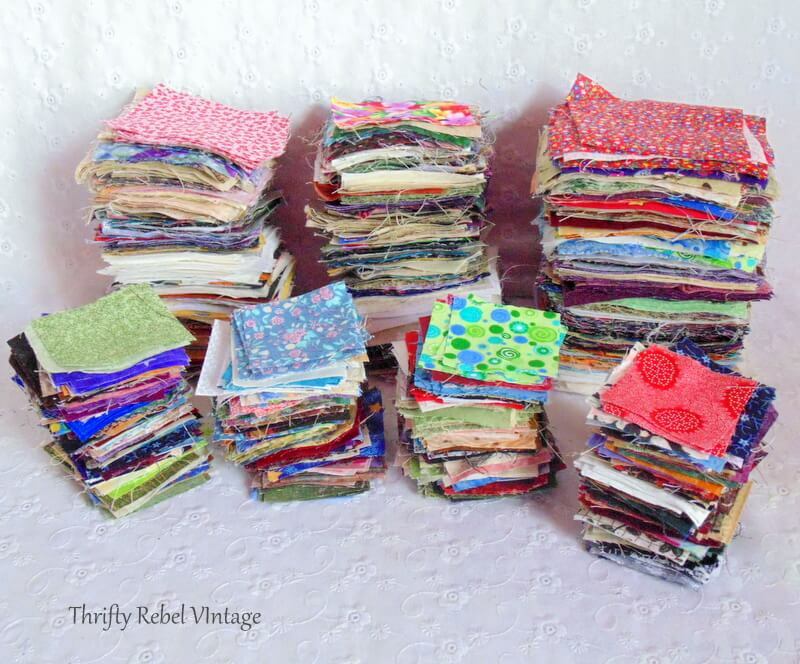 And here’s the 6 inch high pile of 4 inch squares. 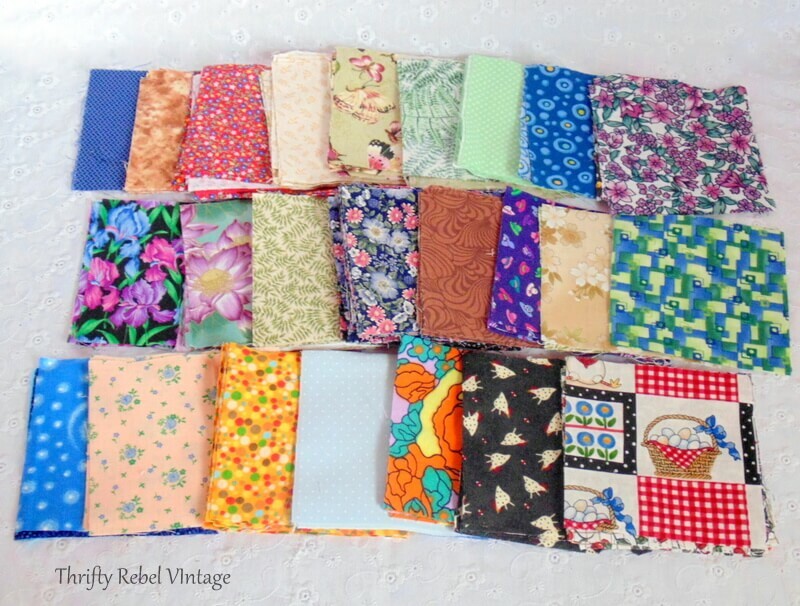 Just to show you some of the different patterns of the 4 inch squares, of many. And that’s just about a quarter of the pile. Considering how thin the fabric is, that’s a lot of squares. Maybe someday when I have absolutely nothing better to do I might count them. But then again, probably not. lol. 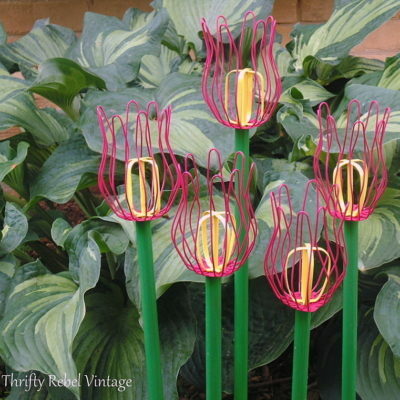 Like using them in a decoupage project or two or three. In total I paid $9 for all these squares. Appropriately they were priced at $4 for the 4 inch bag, $3 for the 3 inch bag, and $2 for the 2 inch bag. Considering I’ve never seen a lot like this ever, and might never again, for me that’s money well spent. You always find the best treasures! Thanks for sharing! Thanks Susan! I’m very lucky to have some awesome thrift stores in my area. 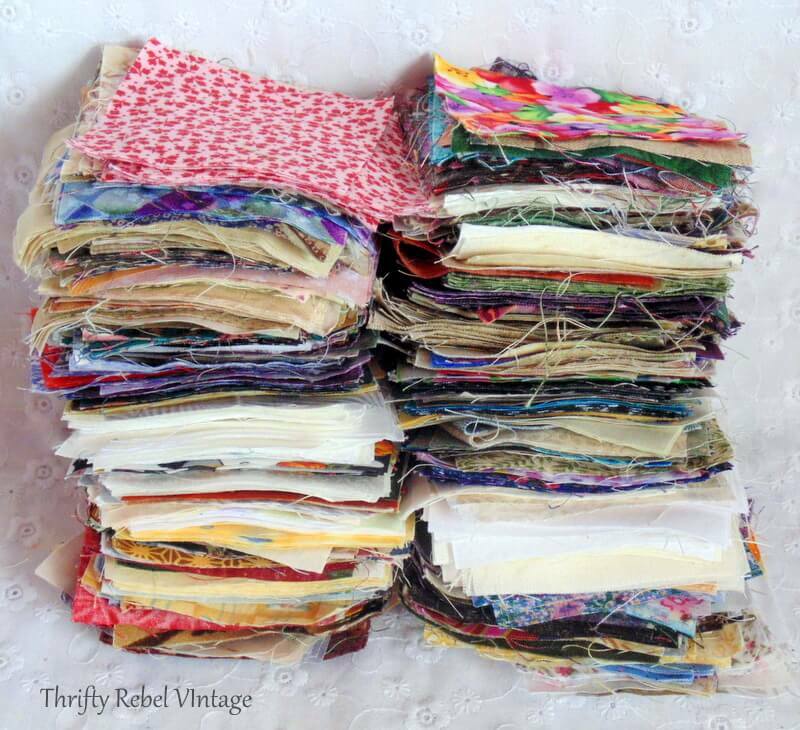 I love when I come across an old quilter’s undone project like this! I have so much fun looking at all the fabric patterns! I’ve used them for simple bunting and coasters, and made some of my fabric pumpkins from the wool squares. Great score! Can’t wait to see what you come up with, Tuula! Thanks so much Marion and Marilyn! Make a Quilt. I do not know how many you have of each size, but a block –4+2=6 — 3+3=6 — 2+2+2= 6 etc. Thanks Jean! I don’t know how many I have either. Maybe one day when I’m sitting by the wood stove and it’s a snowy blustery day outside I just many count them while watching some TV. That’s a great find! I would have snapped that up right quick! Thanks Florence! I’m glad I’m not the only one. 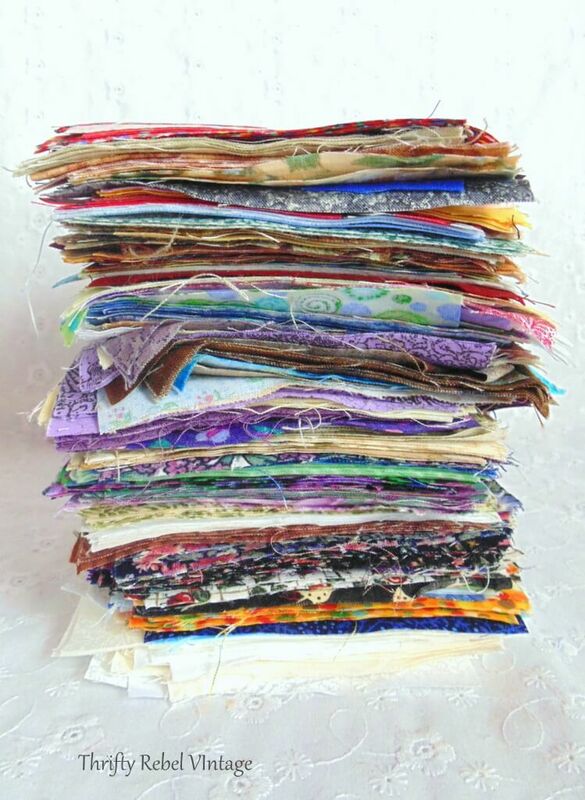 I would be making quilts because I love gifting them! If you have any problems coming up with ideas I will give you my address lol! Have fun decoupaging and be sure to share any interesting ideas you com up with! A pillow would be cute! Thanks Tania! That’s a fun idea. Thanks Dona! So much time right? 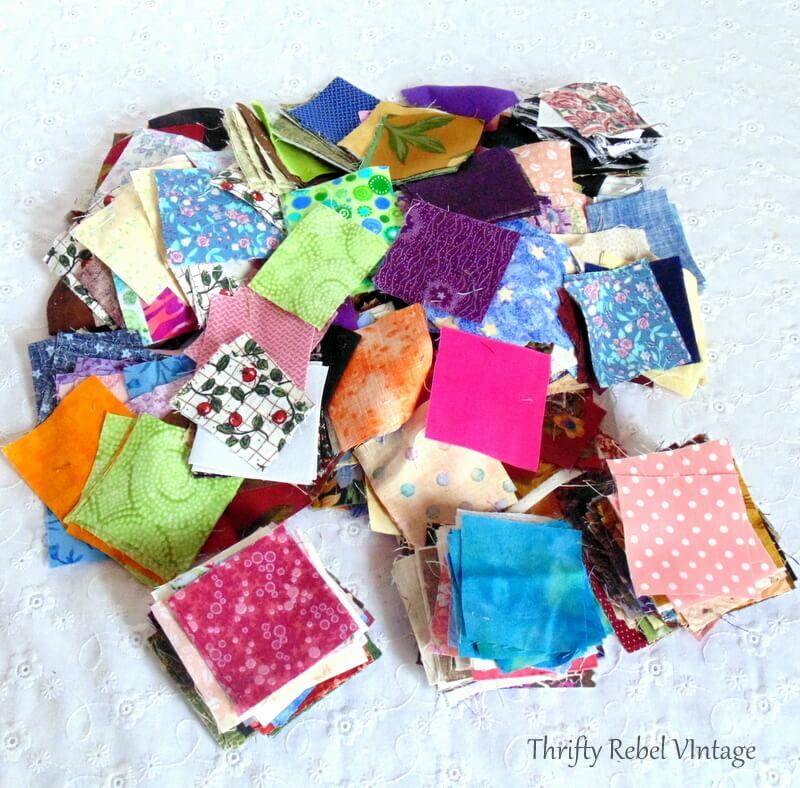 There’s no way I would ever cut out all these squares, especially because I’m not a quilter. But I can see them used in many other ways. 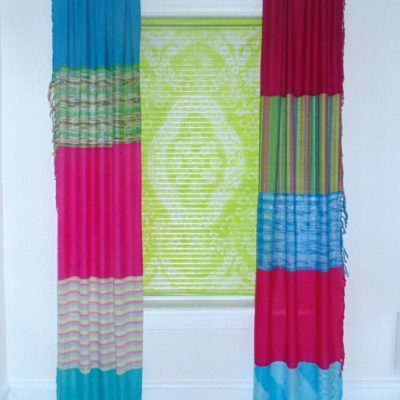 Great idea to finish off unfinished quilts that you find. I love that they get a chance to become what they were meant to me. Awesome! Great find for you! A quilt, wall hanging, mixed media art? I’m sure you’ll turn them into something fabulous. Group them into similar colors, then decopage the inside of a drawer/shelf, etc. It will work well with the thin fabric. That’s what I would do. Thanks Charlie! Great idea. 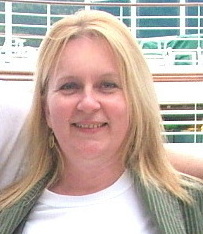 I do love to decoupage, and have done quite a few fabric projects.